SailingEurope’s charter base in Rogač, island Šolta in the Croatian Adriatic was presented in one of my previous posts. 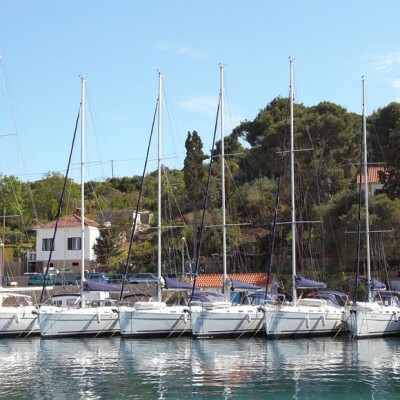 After mentioning all the advantages of sailing from an island base, it would be fair to share with you a suggestions where to sail from Rogač. As mentioned so many times before, take this route just as an idea when planning your sailing trip. Keep in mind that the distances mentioned in the text are the approximation of ideal line between two points while the real sailed path would be different due to weather and other conditions. After check-in procedure and provisioning the yacht, take off Rogač and steer your floating home towards SE, to the island of Brač. The first destination would be anchorage at Bobovišća bay, some 10 NM from Rogač. There are 32 buoys in the bay providing safe berth for yachts up to 25 m LOA. It is a very tranquil and pleasant place in one of the most protected bays on the island Brač. The water is crystal clear and invites you to jump and enjoy swimming and snorkeling. The anchorage staff is extremely polite and welcoming, willing to please you which will make you come again. 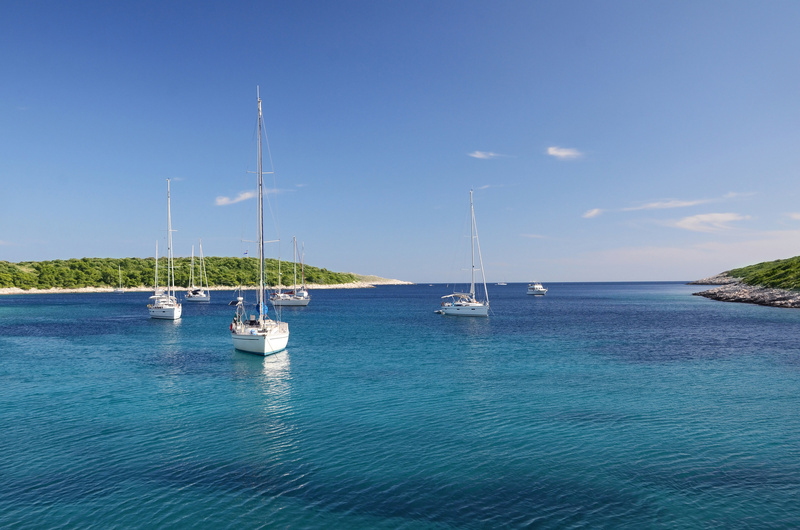 The next day would be reserved for sailing alongside the shores of Brač, heading south from Bobovišća, passing the Gate of Split – the strait between islands Šolta and Brač. South shores of Brač abound with interesting hidden coves and beaches so your journey to Bol, some 16 NM from Bobovišća would not be boring at all. If you are blessed with the spirit of adventure, you should not miss a chance to visit the Blaca desert. It is a hidden monastery in the hills, not visible from the sea, but reachable by foot from the Blaca cove. The trip to the monastery takes about one hour of hiking from the cove. Overnight stay is planned in the village Bol, the home of probably the most famous and the most photographed beaches at the Adriatic. 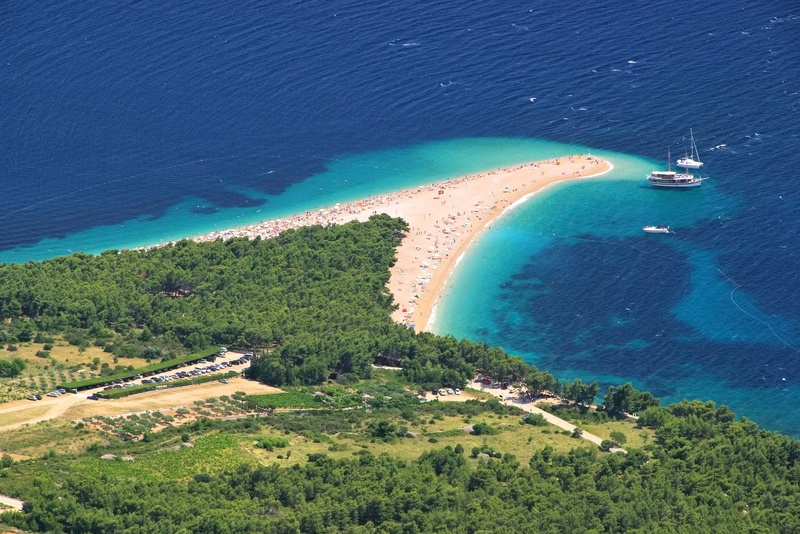 The pebbly beach is called Zlatni rat, which means literally the Golden Cape. The beach is really beautiful but here I would like to save you from disappointment and tell you that it is really overcrowded in the high season, while its access by boat is limited due to depths, rather strong winds and a safety distance for swimmers so visiting Zlatni rat by yacht is a bit difficult. Bol offers a lot of night action in numerous taverns and cocktail bars while your floating home could be left at the waterfront where some 10 -15 moorings are provided along with some buoys. If anchoring at Bol watch out for the winds during the night since Bol is very opened to winds from second and third quadrant. Let’s leave Brač and take our course SW and cross the channel between Brač and island Hvar. The peninsula N front of Starigrad offers numerous coves for taking a swim break before following SW route around cape Pelegrin and turning SSE towards Pakleni otoci islands. This cheerful archipelago just in front of Hvar town hides a bunch of hidden coves and beaches appropriate for anchoring as well as a pleasant marina at a place called Palmižana. Although there are some interesting bars and restaurants at Vinogradišće bay, just five minutes’ walk from the marina, Hvar town refers to the most visited party destination in this part of Adriatic, along with its Hula Hula beach bar and Carpe Diem cocktail paradise. The entire journey from Bol to Palmižana amounts to as much as 20 NM. Supposing that you had a hard night at Hvar, it is allowed to take another calm and relaxing day so the trip from Palmižana to Vis would not take more than 15 NM. Swim/sobering break could be taken either in one of the coves within Pakleni otoci archipelago or across the canal, around E end of island Vis. Vis town provides moorings, fresh water and electric plugs alongside the waterfront, while interesting dinner could be arranged in the interior of the island if you hired experienced skipper or have browsed the internet searching genuine taverns within family establishments. 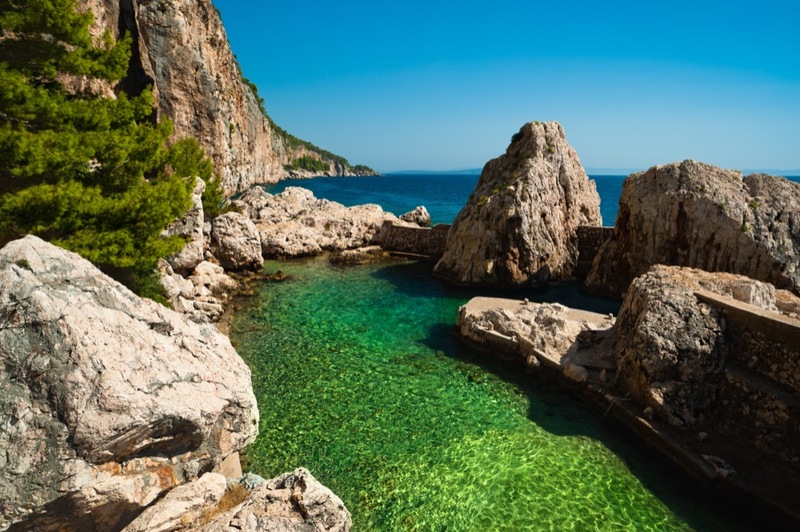 The next day is meant for sailing alongside south shores of island Vis and exploring its islets and hidden coves which are one more beautiful than another. At the end of the day you will find yourself in Komiža town, the second largest settlement at the island. Some 80 buoys in the bay in front of Komiža and 20 moorings at the waterfront are there to accommodate your yacht. Since Komiža is one of the oldest fishermen villages I suggest you to visit the Museum of Fishery and take a dinner in one of genuine fishermen taverns. As soon as you wake up and complete provisioning it is time to sail out SW to island Biševo. 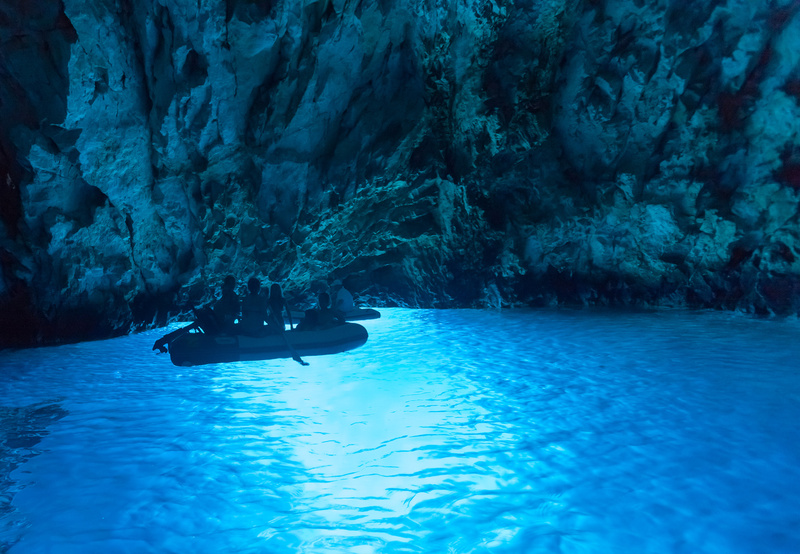 There is a famous Blue cave which refers to one of the pearls of maritime natural heritage thanks to its beauty created by sun rays. It is important to visit the cave between 11 AM and 1 PM. The rest of the day could be spent on sailing around the island Biševo and chilling out in one of the beaches or taking the course N, to Sičenica bay some 30 NM away. The entire region on the coast between Trogir and Rogoznica could be an appropriate destination for this day. This region abounds with coves and bays among which many of them provide good shelter and safe anchorage while the coast is not devastated by concrete and tourist attractions. 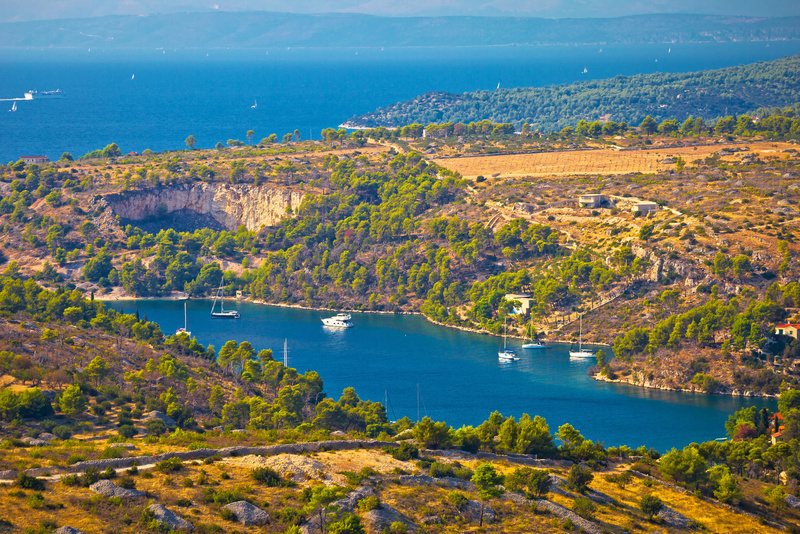 You could also find a berth at one of the islands – Drvenik Mali or Drvenik Veli in the area. The last day of this trip leads us towards E, to island Drvenik Veli, where a popular anchorage could be found at its E shore. If Krknjaši bay is overcrowded, one could find a nice piece of beach and anchorage in the bays next door to the S or at the islands in front of Maslinica on island Šolta. The idea of visiting Maslinica is also a good idea but in that case you should negotiate with the marina staff not to charge you berth just for a coffee- and walk-break. The rest of the day is to be spent in easy sailing towards Rogač, where you can load the fuel at the gas station just at the opposite side of the base, without fear of being late. Once again, this is just one of the ideas where to sail from Rogač. I look forward for your experiences and your own routes sailed after embarking at Rogač! 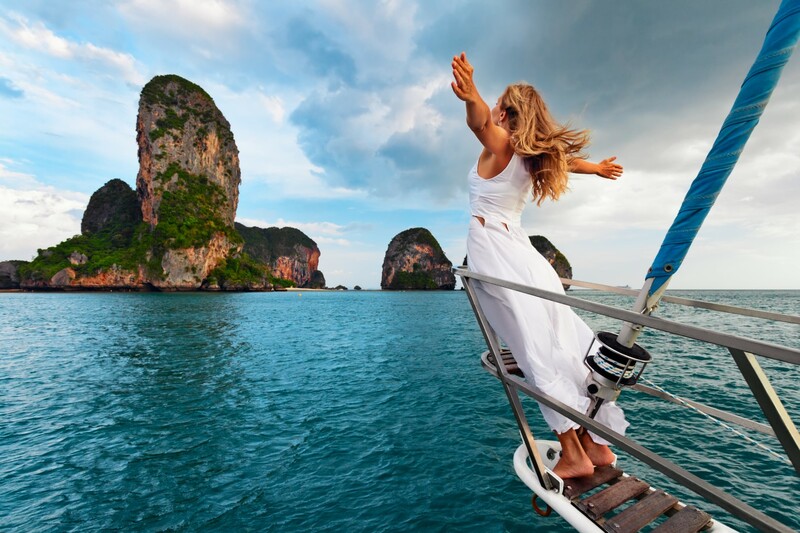 I wish you a calm sea, fine wind and a strong mast!